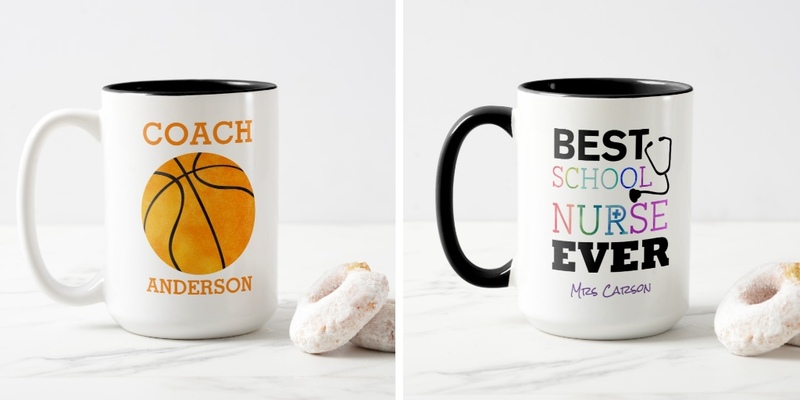 These personalized coffee mugs are available in many sizes styles and colors. Find the perfect gift for your teacher, coach, that special someone. Add a monogram or personalize for a unique touch.